Here it is! 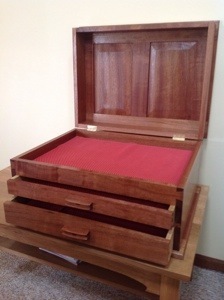 A completed Paul Sellers’s design tool chest! 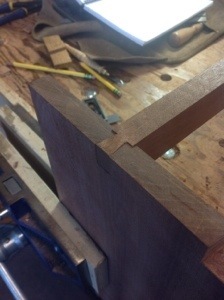 A quick run down of the chest’s features and joinery. 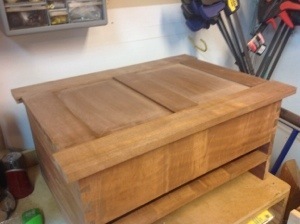 The carcass of the tool chest is made from 7/8″ Sapele as a single box, then separated with a hand saw to produce the lid. The rail between the two drawers has a mortised dovetail that adds additional strength and a little character that is missed unless you look carefully. 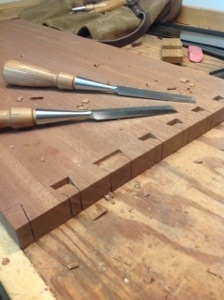 This portion of the project provides great opportunity to practice not only joinery skills, but hand planing skills. When the lid and box are separated it takes some time to get the required fit. 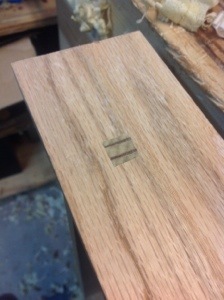 The ever changing grain of the Sapele added to the challenge. 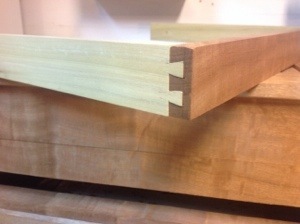 Hand cut mortise and tenon joints are used to produce the top and bottom frames. 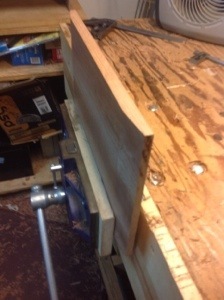 The top panels were raised by hand using a #4 stanley plane and the grooves with a veritas plow plane. 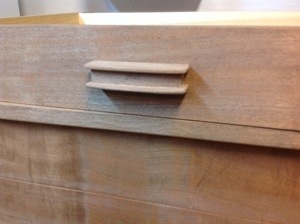 Building the drawers required half blind dovetail joints, a housing dado with wedged through tenons and drawer pulls. 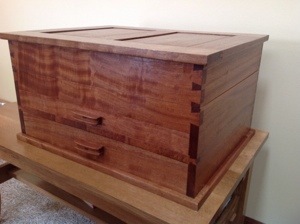 Finally the chest was finished with two coats of shellac and two coats of polyurethane followed with wax. A very satisfying project with many enjoyable techniques. This is a project from Paul Seller’s Masterclass Series. 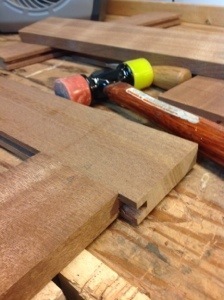 As tools begin to fill the drawers, my mind wanders to future projects; stools, desks, chests and other great challenges. Very nice work, I know how you feel — now it’s on to the next challenge, whatever that may be! A great work – congratulations! Rich, nice job as usual. You outdid me again; mine is just pine and still has no finish. It was harder than I thought it would be. Thanks Eric. I found it to be a very challenging lesson also. Hope all is well. Beautiful. I need to try working with Sapele some day. Fantastic results and a great selection of skills involved.